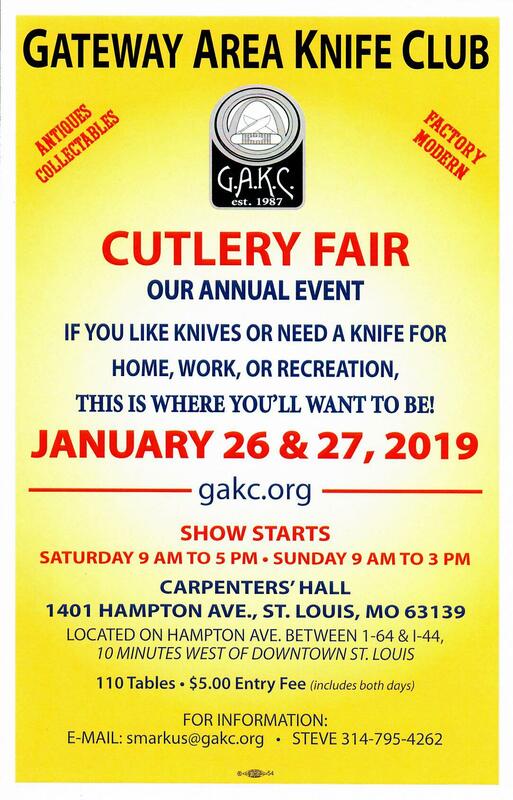 GAKC is the Gateway Area Knife Club, a St. Louis Knife Club that hosts an annual knife show in January. 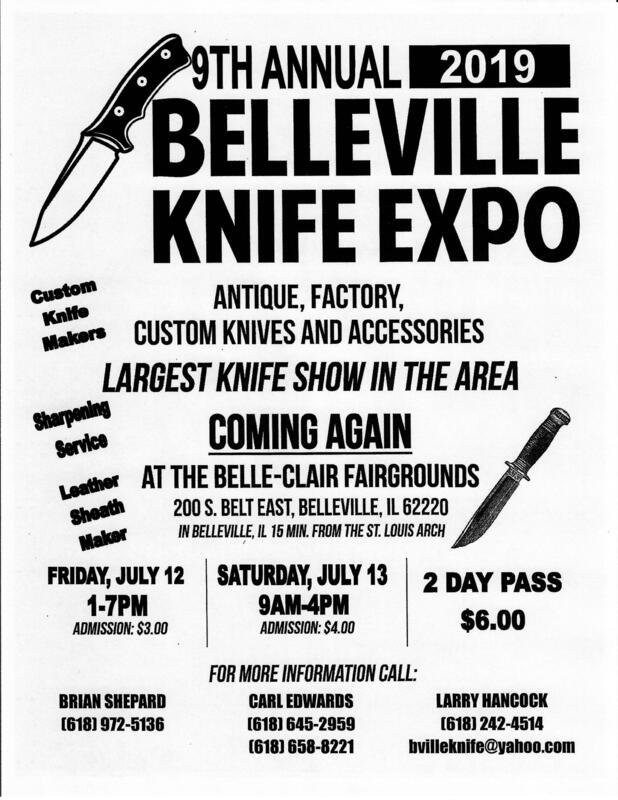 The Saint Louis Knife Show, or Saint Louis Cutlery Show, and our monthly meetings are an opportunity for St. Louis Knife Makers, Bladesmiths, Knife Collectors, and Knife Aficionados to come together. 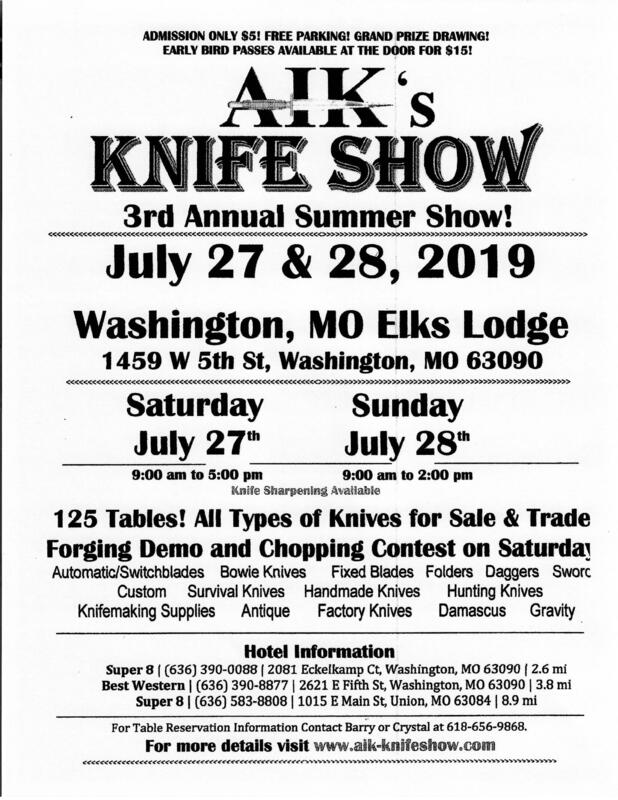 The club has a monthly meeting on the second Thursday of each month at the Carpenters Union Hall at 1401 Hampton Ave, St. Louis, MO 63139. 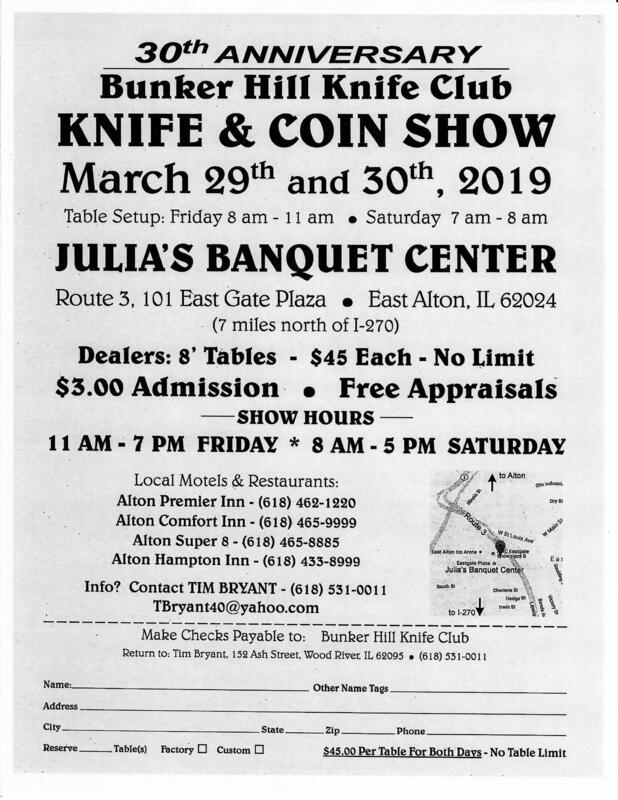 Meetings start at 6:30 pm. Visitors are always welcome.